Experience You Can Trust. Service That Can’t Be Beat. With over 30 years of combined experience and our selection of Penntek systems, we know how to make your concrete floors shine. When was the last time you stopped and really took a good look at your concrete floors? Inside and outside your home, at your commercial business, or in your industrial facility, flooring needs to offer the best in strength and style—which is a feat that bare concrete floors just can’t achieve. 24 Hour Floor is a Certified Women-Owned business that’s been built on a mission of solving the problem of damaged, dingy concrete floors, and we do that by delivering proven results backed by our company-wide commitment to quality. By partnering with Penntek, we offer high-quality floor systems that are at the cutting edge of innovation. 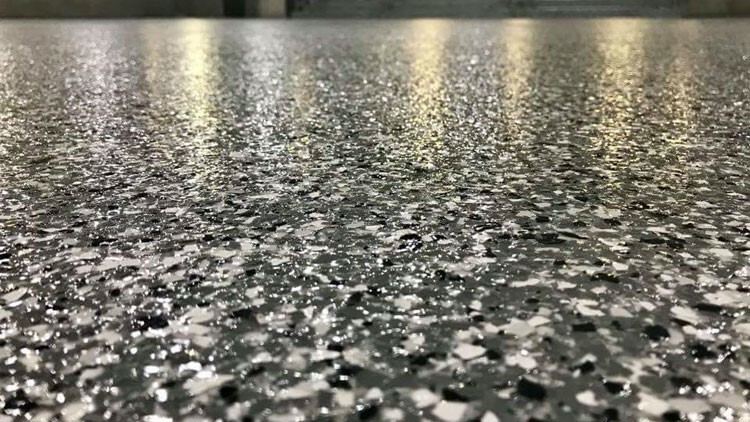 When you combine the superiority of our products with our 30+ years of experience, it’s easy to see why learning more about 24 Hour Floor is the smart choice when you want to get the most out of your concrete coating installation. First-Class Service. Proven Concrete Coating Results. Many companies say that they put the customer first, but at 24 Hour Floor, we practice what we preach. You can count on us to deliver start-to-finish concrete coating solutions that are fully customized to your property, professionally installed, and guaranteed for long-term performance. Best of all? The versatility of our products makes them ideal for a diverse range of applications—from residential homes to industrial and commercial buildings. Customer Service: As an Angie’s List “Super Service Award” winner, we strive for excellence in every project we take on. That means that you get personalized support and proven results for a floor that you’ll love. Professionalism: As members of SSPC and BOMA, with recognition as a CBC and Certified Penntek Installer, our entirely in-house team is dedicated to delivering the service you deserve. One-Day Installation: Who has time to leave their floors untouched for days on end? 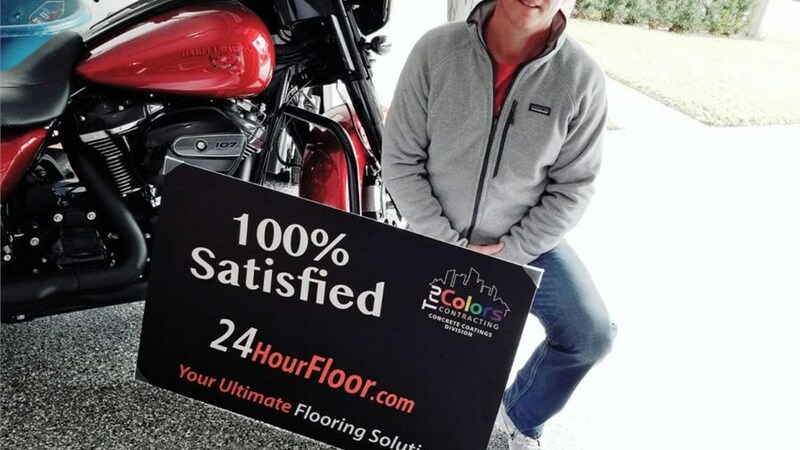 Instead of dealing with the inconvenience from other contractors, turn to us for quick installation that lets you get back to full use of your floor in just 24 hours. 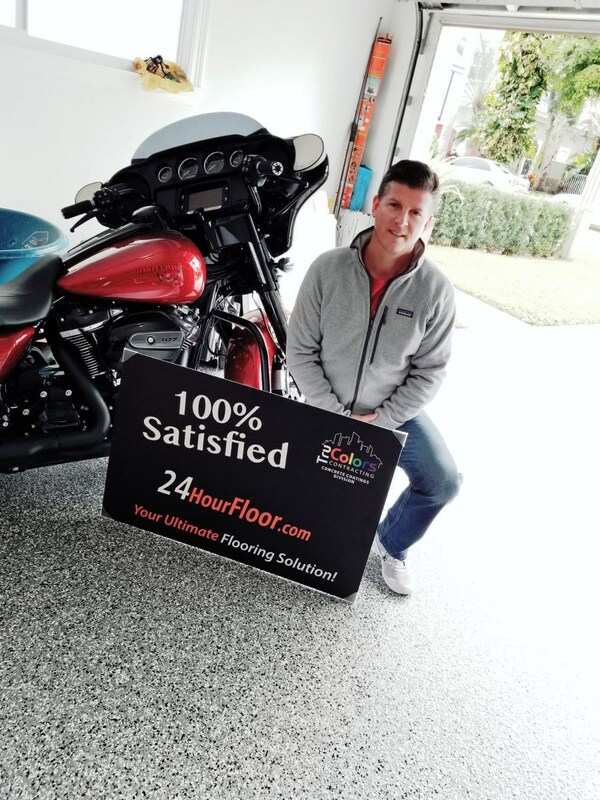 Now, we’re not claiming to be the only concrete coating company in Southeastern Coastal Florida, but we are saying that there’s a difference in choosing 24 Hour Floor for your next project. Not only will we be putting 30+ years of professional experience to work for you, but we’ll be installing Penntek coating systems that are backed by long-term warranties. So why not make the call today to learn more from one of our experts? If you’d like to set up a free consultation and quote now, just fill out our online form!